Want To Stay Motivated When Reaching Goals? Join Me Today To Find Out How! I’m excited to announce that in around an hour’s time (11am Easter, 4pm BST) my Productivity Virtual Summit video will be live. You can view my chat with Marc Guberti for free for a limited time, as well as catch up on a load of other great speakers at this virtual event. I cover how you can keep yourself motivated whilst trying to achieve the goal’s you’ve set, and how to track your achievements to motivate you even further. To join in, simply click on the link below, sit back, relax and enjoy! 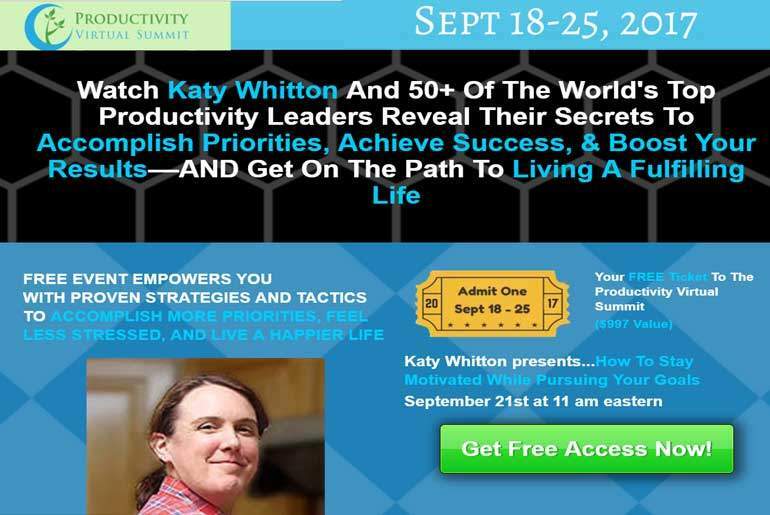 Watch My Productivity Summit Session Now! I’d love to know what you think so please let me know in the comments how you thought I got on! And let me know what other speaker’s you’ve watched too!